Some time ago, my wife and I were visiting a small wildlife rehabilitation center north of Sydney, Australia, where volunteer and longtime activist Lindy Stacker showed us around. Lauren had spent many years working on behalf of kangaroos, and Lindy was one of her main Aussie contacts. Neither Lauren nor I had met a ‘roo in person, however (we wouldn’t think of visiting a zoo), so we were thrilled when Lindy took us to her facility and introduced us to several of these charismatic marsupials recovering from various ailments. Her other guest that day was a veterinarian named Howard Ralph, who was there to check up on one of the adult kangaroos. 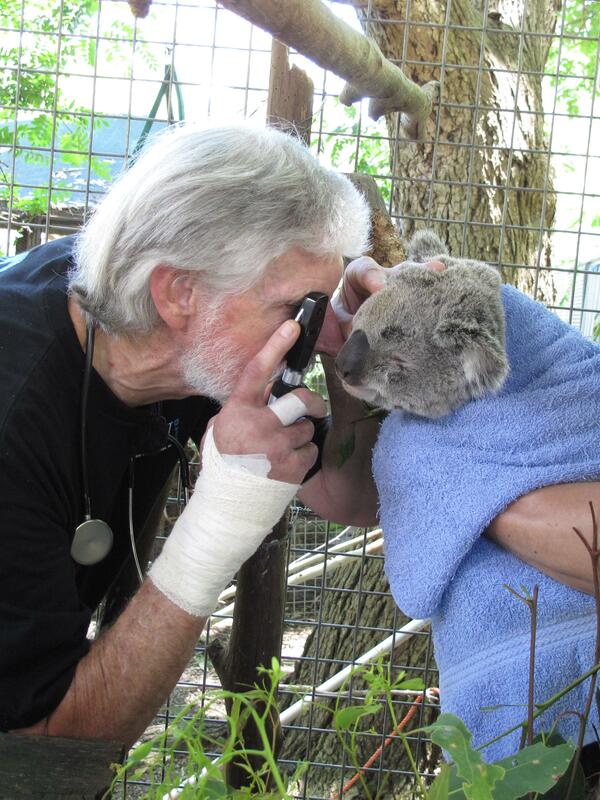 Dr. Ralph is not just a vet—his remarkably diverse medical background includes work as a surgeon, aesthetician, and emergency care worker—but he’s spent the last three decades treating injured, sick, and orphaned wildlife, all on a volunteer basis. 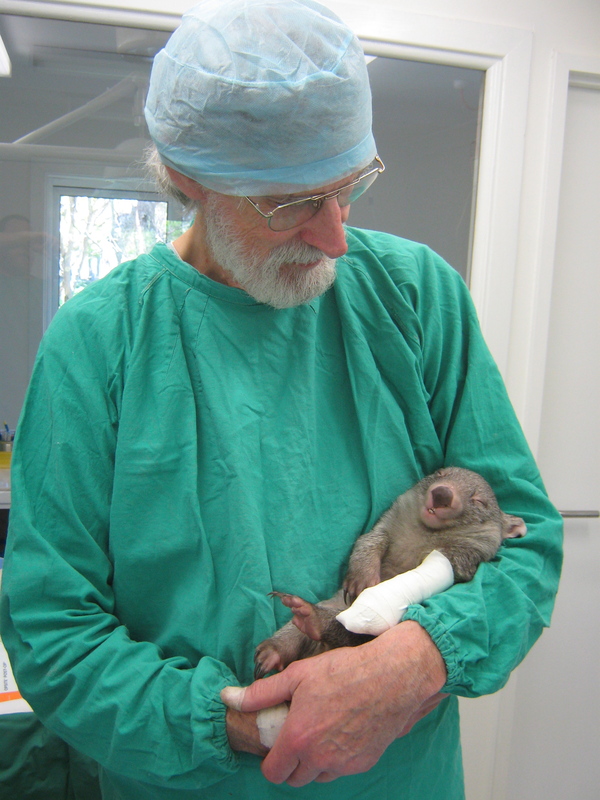 Six years ago, he founded Southern Cross Wildlife Care (SCWC). During dinner, Dr. Ralph shared with us his photo album of patients, and it was clear there was no animal this humble man couldn’t help heal: tortoises with cracked shells, wombats with cataracts, baby kangaroos with broken limbs, koalas with burns, along with lizards, birds, frogs, wallabies, possums, bats, and many others. Indeed, he and his volunteers at SCWC treat more than 2,000 native animals every year, many of whom have been hit by vehicles on Australia’s busy roads. It was after a brushfire that Dr. Ralph noticed the lack of volunteer assistance for Australia’s injured native species. “The wildlife were getting so little help and I thought, ‘Well, I have only got one life and I should put it to the best use I can, and the wildlife need it the most,’” he says. Bites and scratches are an occupational hazard, hence the bandages. “People bring animals from all over Sydney, and they ring Dr. Ralph from anywhere in Australia for advice,” adds Lindy. Without government or corporate funding, Southern Cross Wildlife Care struggles to meet its annual costs, which are more than AU$200,000. If you would like to donate any amount, please contact Lindy Stacker on 9982 1751 (from the US, that’s 011-61-9982-1751) or 0409 404570 or email lindystacker@yahoo.com.au. You can also click here.